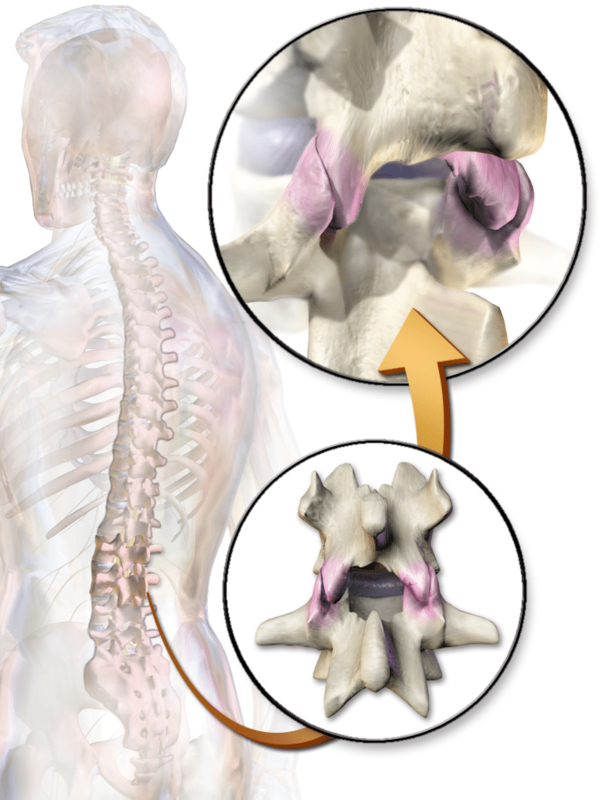 The zygapophysial joints are small joints between the bones that make up the spine. These “z- joints” may become a cause of chronic low back pain. Lumbar radiofrequency neurotomy can provide prolonged pain relief from “z-joint” pain diagnosed by medial branch nerve blocks. The procedure uses RF energy to disrupt the pain signal from the nerves that supply the “z-joints”. The procedure requires use of x-ray to precisely place the needle. Therefore, if you are pregnant, please inform your physician prior to the procedure. The amount of x-ray exposure is within recommended safe limits for adults, but can be hazardous to the developing fetus. If you are a diabetic and take medications, notify your physician as medication adjustments may be necessary. You will require a driver after the procedure, as it may be unsafe to operate a vehicle. Take your medications as prescribed. Although it is not always necessary, you may be given a sedative medication prior to the procedure. You will be placed onto a special table for the procedure. After cleansing the skin, drapes will be applied to ensure sterility. The x-ray machine will be maneuvered to a satisfactory position. After numbing the skin and muscles as necessary, a RF needle will be placed precisely to the target nerve. After the RF needles are placed, a small amount of electrical current is passed through the needle to ensure a safe distance from other nerves. Subsequently, heat is generated at the tip of the RF needle that will create a lesion of the targeted nerve. You may feel some initial discomfort when the heating begins, though it should quickly subside. After the first lesion is completed, the RF needles will be adjusted and additional lesions preformed as necessary. Your skin will be cleansed and a bandage applied as necessary. You will be taken to an observation area and monitored for any adverse reactions, which are very rare. Your usual pain will be re-assessed and documented. Keep in mind, the greatest benefit following radiofrequency neurotomy will often not be experienced until 4-6 weeks after the procedure. Side effects are generally minimal and can include increased discomfort, local bruising, headache, nausea, fainting or dizziness. These symptoms are usually short-lived and will resolve themselves. More severe complications are rare such as infection, allergic reaction, or nerve injury. If you have any questions or concerns, please contact us at (610) 954-9400.